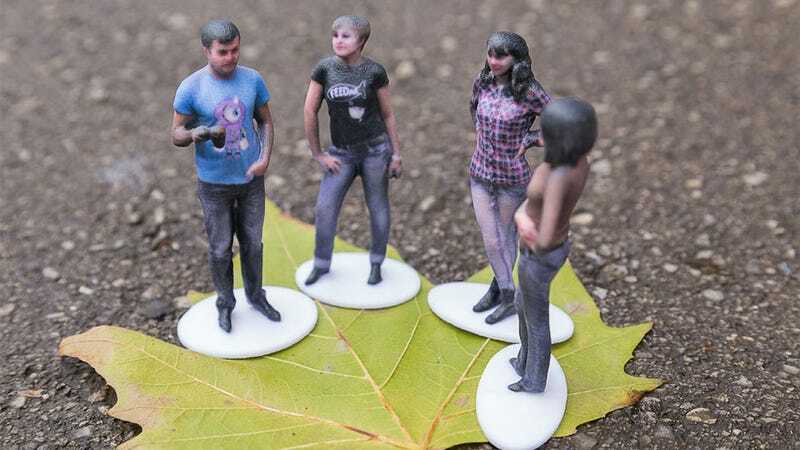 A company called Shapify is, through the magic of Kinect and 3D printing, allowing Microsoft's peripheral to serve as your gateway to tiny narcissistic action figures. You'll need a Kinect, a PC and Shapify's software. With all that, the camera can take a complete 3D image of you - in a pose, if necessary - then have that printed out as a cute wee figure. Considering the technology used - this is the old Kinect, not the Xbox One's supposedly improved model - the results are pretty good!